Periodic Tablewear, whose beaker wine glasses we previously posted, have created a wonderfully and handsomely designed cocktail shaker set made in the distinct shape of an Erlenmeyer flask. Scientifically designed for serving alcoholic creations specific to the concoction, the Periodic Tableware Cocktail Shaker is unique from any shaker on the market today. Using this collection, one can shake, stir, and pour in two configurations; cocktail or shot. 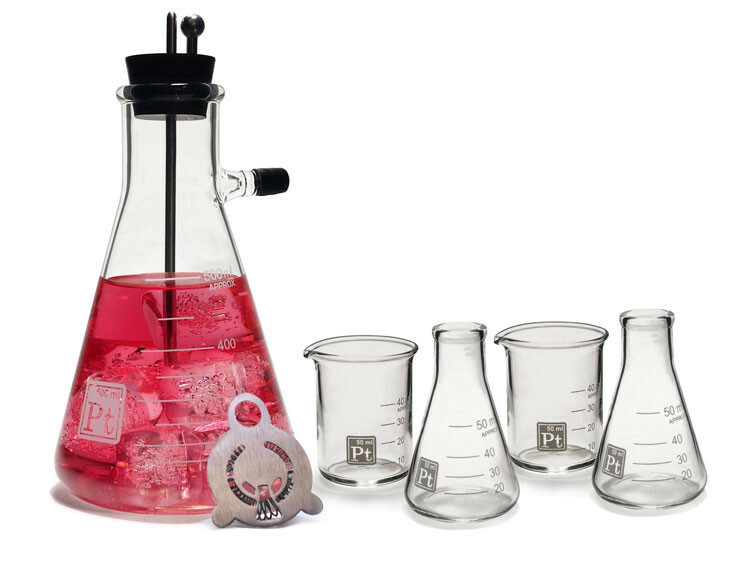 The Set includes two beaker and two flask shot glasses. Shaker, pieces, and shot glasses all dishwasher safe.